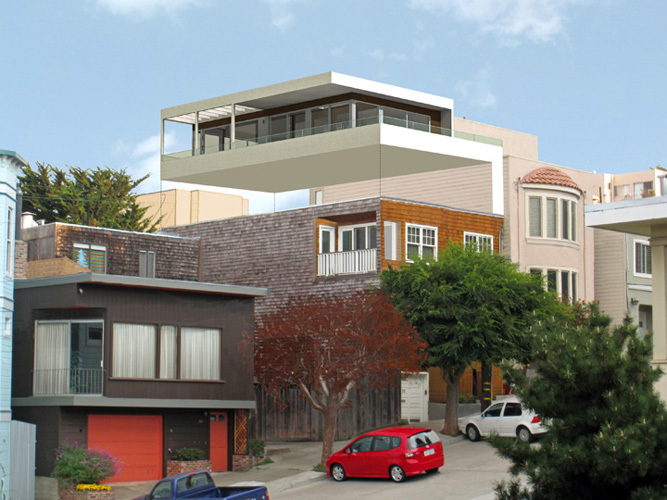 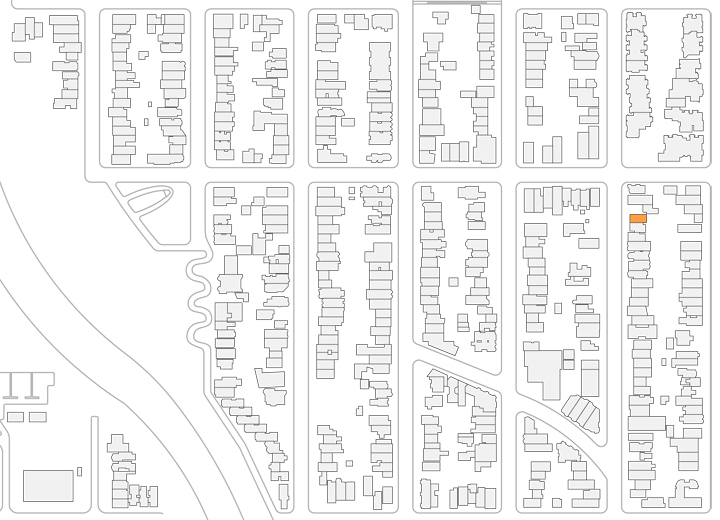 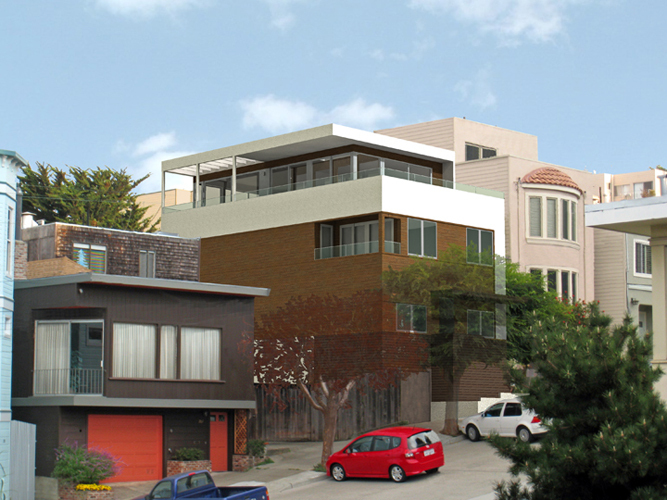 A third floor addition and façade renovation is planned for a mid-block house in Potrero Hill. 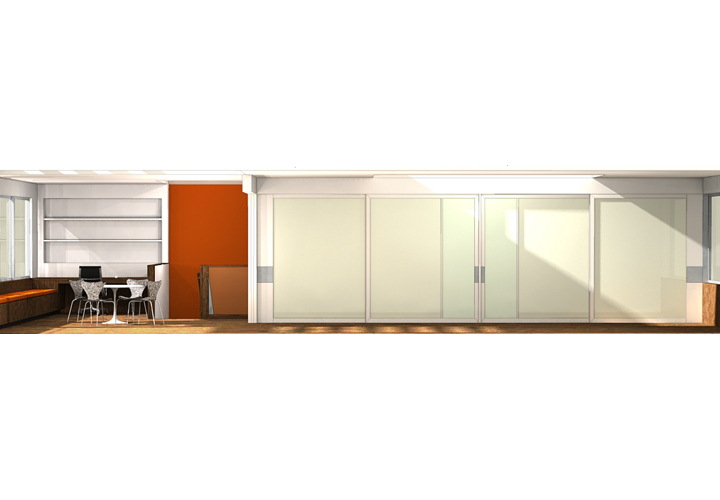 The new third floor includes an open plan with sliding and folding partitions for altering the configuration of the space as needed. 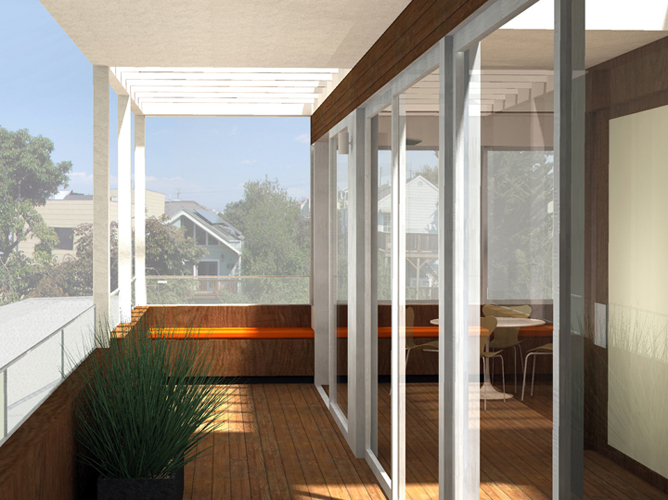 Front and side terraces, along with multiple skylights, expand the sense of space despite the constraints between property line walls.